It may be the task of designing website or solution for your Ecommerce business or digital marketing or internet marketing or designing a software or mobile apps development; in short, you name a specialty service and it is available with InstaaCoders Technologies. You may be surprised this IT and web designing agency was started in the year 2013 and within a span of just about five years, its popularity has grown worldwide. This agency is known as one source solution for all IT and related matters. In order to cater to ever growing demand of clients, InstaaCoders Technologies has established two branches in India and one in the USA. Take for example the development of Android and customizing of mobile apps or iPhone apps, gaming apps, smartphone apps and so on. InstaaCoders Technologies has the expertise to take up such tasks. In fact, the agency has taken several such tasks and has delivered the solution to the complete satisfaction of its clients. In fact, the agency has offered this service to many b2b clients across the globe. 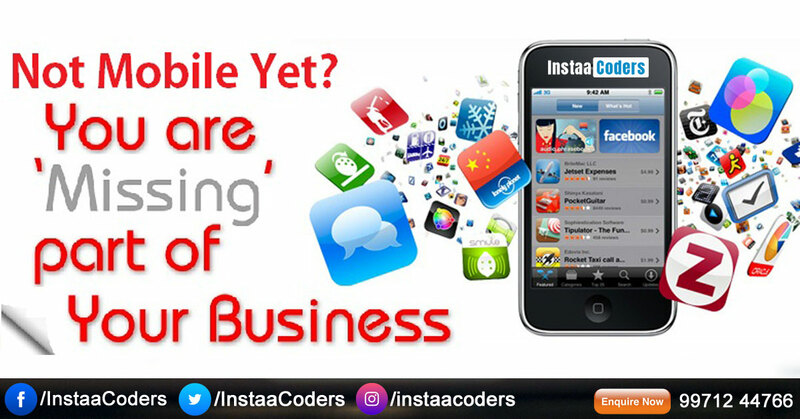 Apart from these, the specialized team of InstaaCoders has completed several tasks relating to E-commerce mobile apps and mobile apps for payment gateway and portal. Even in the case of internet marketing, InstaaCoders Technologies has been recognized as a pioneer in designing website, managing the website, web promotion, Social media optimization (SMO), Search Engine Marketing (SEM) and in all the related fields. The agency ensures your website secures worldwide visibility. The expert technical crew of InstaaCoders ensures your website secures highest PPC (pay per click. In fact, this agency also takes up affiliate marketing service and numerous other related services. The technical crews of InstaaCoders always work in close interaction with the clients and provide them all the necessary technical support 24 X 7 X 365. Within a span of five years since the agency entered the field of web designing and IT solutions, it has secured ISO 9001 certification. Perhaps that is sufficient to underline the unique quality of its services. With so much of specialized services being available, interestingly the service charge of this agency is considered reasonable.